The pamphlet (of which I have the cover only) is unknowable, no such title shows at WorldCat or Copac and the title page may have born a different title and possibly the name of an author. A colour that used to be seen in the 1990s 'hot pink' was similar to puce but rather cheap looking; the 1940s Elsa Schiaparelli colour 'shocking pink' is nearer to the mark but puce has a glamour all of its own. 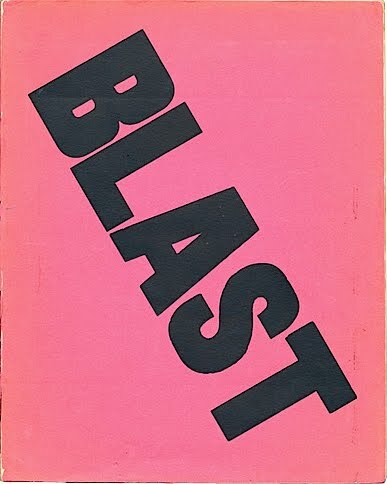 A fine copy of BLAST would be a thing to behold and I can think of two thousand reasons why I would like one. 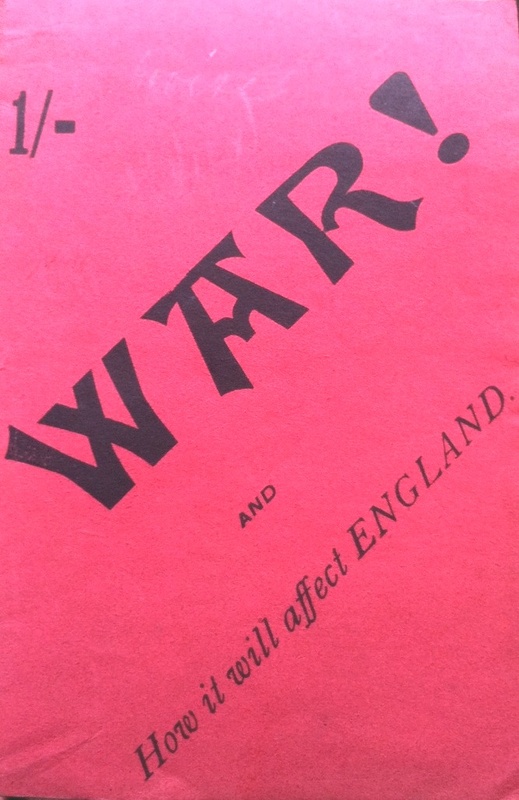 They usually turn up in distressing shape, as for the war pamphlet it is probably too rare to have real value - unless you found Lewis's or Pound's copy -- even Gaudier-Brzeska's, with a small sketch. Below is a recently added and obviously modern puce publication - of which I know nothing, except it appears to be part of the enviable collection of kunstler Richard Prince. The war booklet looks more puce than Lewis's puce monster. The word comes from French puce the color of a flea-- I guess a nasty pink flea. The only puce-colored book I own is "The Pogo Puce Stamp Catalog" by Walt Kelly (Simon & Schuster, circa 1960). 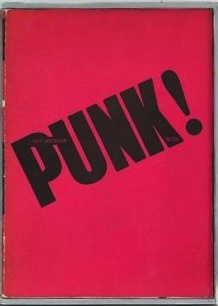 This book collects a sequence of Pogo comic strips where the running gag was a parody of the then-popular trading stamps (Puce in place of the real-life Green Stamps). The book's cover features a darker shade than the two puce books you feature. But the Pogo book has long been my reference for what puce looks like. You can see for yourself if you look the book up on Amazon.